I’m super excited about the Photography for the Journey Creative Photo Workshops that I’m hosting with Danielle Cohen. We’ve got one in SoCal and one in Portland and there’s a spot waiting for you! Instead of writing about it, we wanted to just chat, video-style. 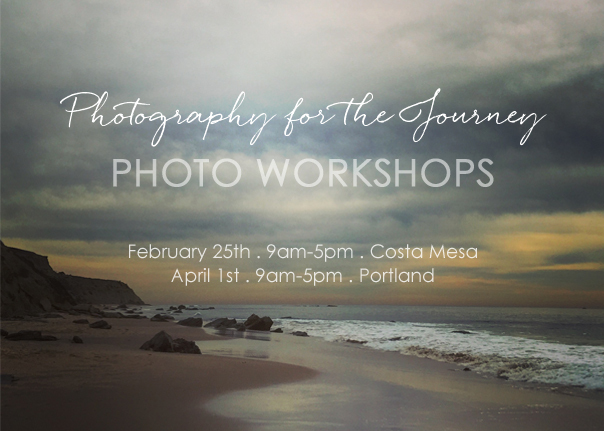 For more written info about the workshops and how to register, visit our website at Photography for the Journey.